The Hargreaves heritage goes back over 500 years to 1480 when Christopher and Jennet Hargreaves were handloom weavers at High Riley in nearby Accrington. In 1604 another Christopher married Elizabeth Nutter the niece of famous Lancashire Pendle Witch Alice Nutter who was hanged at Lancaster Castle. In the early years as the local farmer in order to supplement their income, started to sell raw cotton to the local handloom weavers – the weavers would take the raw cotton home to spin and weave into a piece of calico cloth which they would carry over their shoulder on the way back to the farm. The farmer would buy the piece of cloth and send it by pack horse to Manchester, where it would be sold to the cloth merchants – the handloom weaver would buy more raw cotton and the whole process would be repeated again and again. The handloom weavers in 1700 would live in a single room cottage where they would eat, work and sleep. The wife would usually spin and the husband would weave – conditions were sparse and it was quite normal for the family to sleep six in a bed – jambons and oatcakes would hang from the ceiling and the room would be heated by a coal fired hearth. Although the handloom weavers appeared to live under Spartan conditions, they were in fact quite affluent and earned £1 a week. James Hargreaves the inventor of the Spinning Jenny an ancestor of the present family, resulted in the beginning of the Industrial Revolution. Previously it took eight spinners to keep one weaver going, but with Hargreaves’ invention, yarn became more plentiful and saw the start of the factory system. The handloom weavers’ wages dropped from £1 to 5 shillings per week, and as a result of this riots and loom breaking took place. In 1826, twenty-six looms were smashed by the mob and the company received £249 in compensation. There is a model of Hargreaves and his Spinning Jenny on display in the Textile Museum at the Mill. Later generations of Hargreaves pawned their family bible to buy bread for their families but eventually established a spinning and weaving business at Moscow Mill in Oswaldtwistle. In 1851 there were 597 employees at the mill made up of 127 men, 239 women 120 girls and 62 boys and in 1891 the mill was equipped with 48,000 spindles and 1074 looms. Weaving has been carried out at Moscow Mill since 1874 – Despite all the problems associated with the Textile Industry it had run continuously without a break. In 1991 the recession and cheap imports had taken their toll and the company had to close down two weaving sheds with older Shuttle Looms and concentrate on the modern weaving shed which eventually closed in 2002 bringing to an end 177 years of textile manufacturing at the mill. The company was left with 100.000 sq. ft. of empty buildings and had to think of something to fill them again and Oswaldtwistle Mills was created in 1992. The first move was to extend the old mill shop selling bleach, washing up liquid and toilet rolls and this is why the mill is still known locally as The Bubble Factory. The main canteen was changed into a coffee shop and the mill grounds were landscaped and the lodges converted to a wildlife reserve and the tradition of textiles has continued with tea towels still woven on three shuttle looms more than 100 years old in the textile museum. Oswaldtwistle Mills award-winning Shopping Village in Lancashire has something to amaze, charm and intrigue visitors of all ages. The former Weaving Mill has over 100 retailers all under one roof, 5 Restaurants, Ice Cream Parlour, extensive Home, Lifestyle & Garden Centre, Mill Grounds, Aquatics Specialist, Craft Centre, Textile and Heritage Museum and even it’s own Wildfowl Reserve. The multi award-winning mills also provides Lancashire guided Coach Tours and Group Party Packages including live entertainment and meals. Today the business is owned and run by the Hargreaves family. Click here to view the Hargreaves family tree. 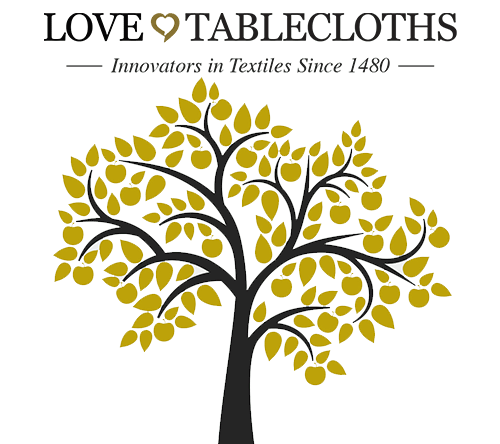 Specializing in tablecloths, sourcing fabrics from around the globe with cutting and sewing facilities in Lancashire. Customer service with a personal touch for your enquiries, requests, placing an order, after-sales and laundry care. We are here to offer you expert advice about our napkins and tablecloths to meet your requirements. Napkins and tablecloths in a large selection of sizes up to 130" circular. Soft natural touch, high performance woven fabrics, stain resistance & quick iron finish. Made with 100% polyester vortex air spun textured, blended and twisted yarns. Our napkins and tablecloths are strong, durable, low colour loss with minimal shrinkage. Finished with reinforced stitched hems protecting their longevity. 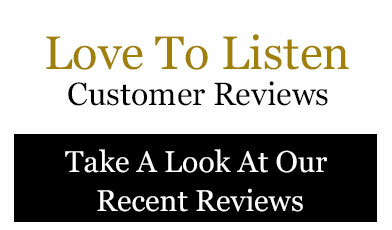 We want you to be completely satisfied with our products, quality and service. All standard item orders have our No reason required - 30 days -100% money back guarantee. Simply contact us within 30 days from receipt of order. We will arrange a collection by courier from an address and day of your choice. Collections are free and full payment including all delivery charges will be refunded on return.